For forty years, customers have known GPM as an industry-leading manufacturer and distributor of industrial pumps that get ANY job done. They’ve also come to trust the GPM Service & Repair center with any and all pump repair needs because the GPM service team goes above and beyond to make sure pumps return to the job in excellent working order. As the variety of pumps and equipment coming into the GPM Service & Repair Center increased, GPM discovered that out-of-the-box solutions weren’t always the best choice. In many cases, a simple, custom-made part would be required to bring a pump back up to OEM specifications during repair. Every application is different and requires a different solution. But with the increase in demand for custom-made metal fabrication and the desire to keep work in-house, GPM formed a full-service Fabrication team to get the job done. If you need it, the full-service GPM Fabrication team can create it. With years of experience designing and engineering individual equipment components and complete packages for a variety of industries, the GPM Fabrication team is ready to tackle your next project. The GPM Fabrication team has a diverse array of design capabilities. Drawing on years of expertise, the team has custom-designed pump bases, pump trailers, pump houses, barges, rafts, cages and more. When a customer needed a pump on a portable skid, the team delivered. From finite element analysis to structural analysis, project management to piping and instrumentation diagrams, the GPM Fabrication team offers engineering services to see project through to the finish. They recently completed work on automated pump houses that streamlined operations for a taconite mining operation. Expert CAD and Solidworks capabilities support the GPM Fabrication team’s engineering arm, allowing the team to manage data effectively and create state of the art animations, 3D solid modeling, automated bill-of-materials (BOM) generation and more. The GPM Fabrication team includes AWS certified welders, and it is ready to take on custom welding projects for applications in any industry. 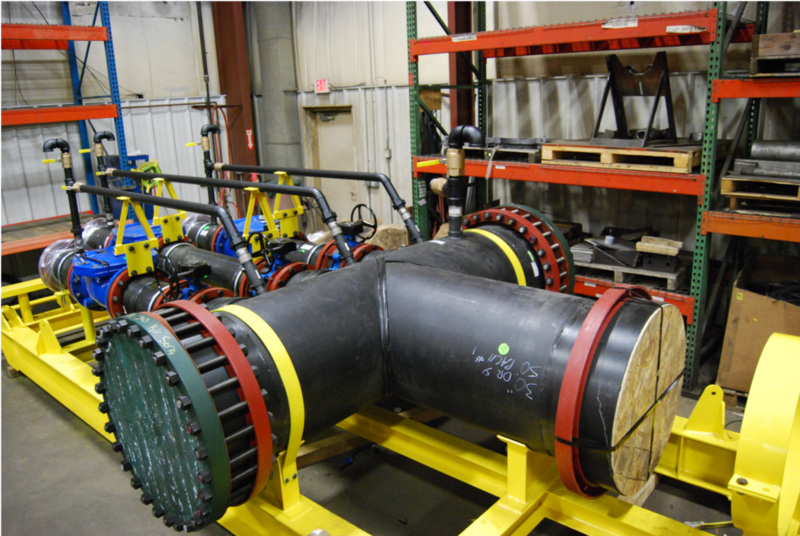 The team has completed projects ranging from simple pipe welding to the creation of complex skids and structures. With both waterjet tables and plasma (IDS) capabilities, the GPM Fabrication team often takes on cutting projects for customers. Some of the most common requests that come through the shop require custom machining. The GPM Fabrication team has extensive experience with manual and automatic lathes, mills, drill presses and more. What can the GPM Fabrication team do for you? Every GPM Fabrication project kicks off with a survey of the work. This allows the team to scope the extent of the project efficiently and accurately. From there, the team works closely with you to select the right equipment to meet the project needs. Then they get to work, employing their skills to create custom pieces that solve problems for you. Once the job is complete, the GPM Fabrication team will document the entire equipment package, accounting for every component of the job and ensuring all aspects meet the required specifications. Ready to turn your custom fabrication idea into a reality? Let’s get started.